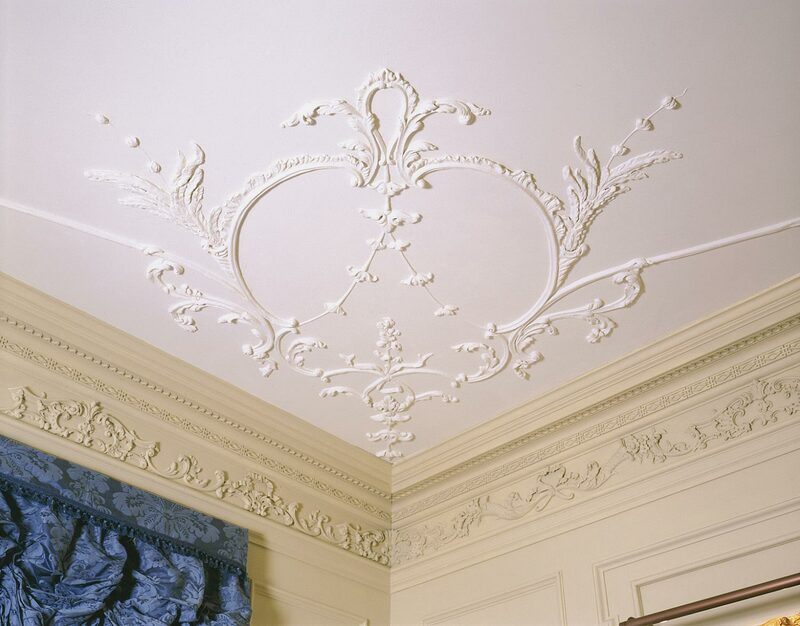 Ceiling plasterwork attributed to James Clow, American (trained in Scotland), active c. 1763 - 1772. Carving attributed to Hercules Courtenay, American (born England), 1744 - 1784, and James Reynolds, American, c. 1739 - 1794, and Nicholas Bernard, American (born France), 1732 - 1788, active in Philadelphia 1762 - 1788, and Martin Jugiez, American, active from 1762, died 1815. On August 7, 1769, two years after extensive travels in England and Europe, Samuel Powel (1738-1793)---heir to a family fortune and future mayor of Philadelphia---married Elizabeth Willing (1742-1830), one of eleven children of a prominent Philadelphia merchant. Only days earlier, Powel had purchased a brick house on Third Street and contracted carpenter-architect Robert Smith (1722-1777) to begin remodeling its interior and, specifically referring to this room, "furnishing a room in my dwelling house." The best room in the house, the second floor front parlor was the scene for a variety of events---card games, teas, and even the dancing that celebrated the twentieth wedding anniversary of George and Martha Washington. 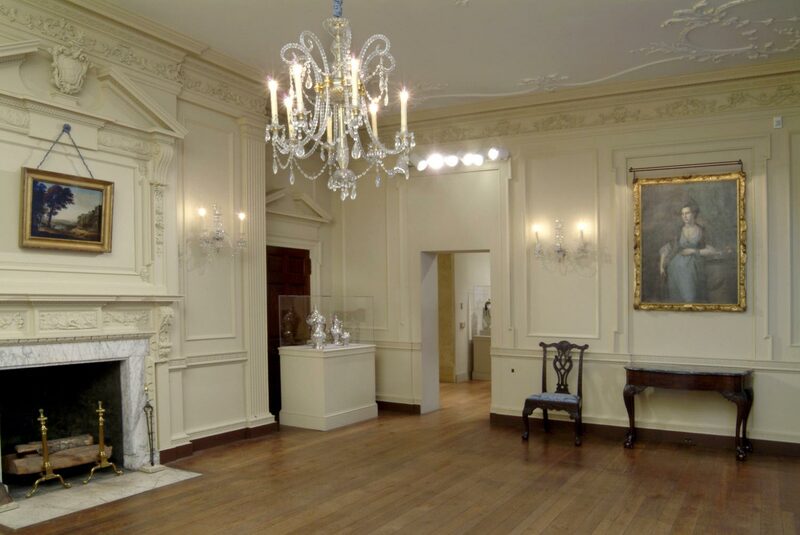 The architectural woodwork and plaster ceiling decoration that here survive from the Powel parlor illustrate the interpretation of the Palladian architectural style, with Rococo embellishments, by colonial Philadelphia artisans and craftsmen. Emerging in France in the early eighteenth century, the Rococo style is characterized by the use of rocaille (rocklike) ornament, leaf and flower motifs, curves and sinuous lines, and alternating C- and S-scrolls. 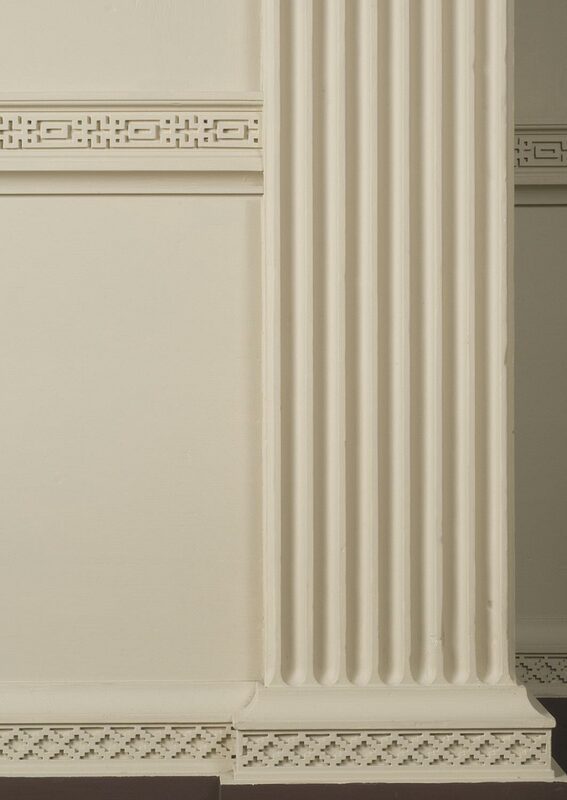 In America, such ornament was superimposed onto molded and carved woodwork in the severe classical style popularized by Italian architect Andrea Palladio (1508-1580). In Philadelphia, the richest of mid-eighteenth-century colonial cities, the American version of the Rococo found its most complete expression. The molding and architectural ornament of the room, and the elaborate fireplace surround, were carved by the city's best London-trained woodcarvers, including Hercules Courtenay, who was paid £60 by Powel. Courtenay apprenticed with London carver Thomas Johnson, whose 1761 book of shields and ornaments helped to disseminate the Rococo style throughout the English-speaking world. 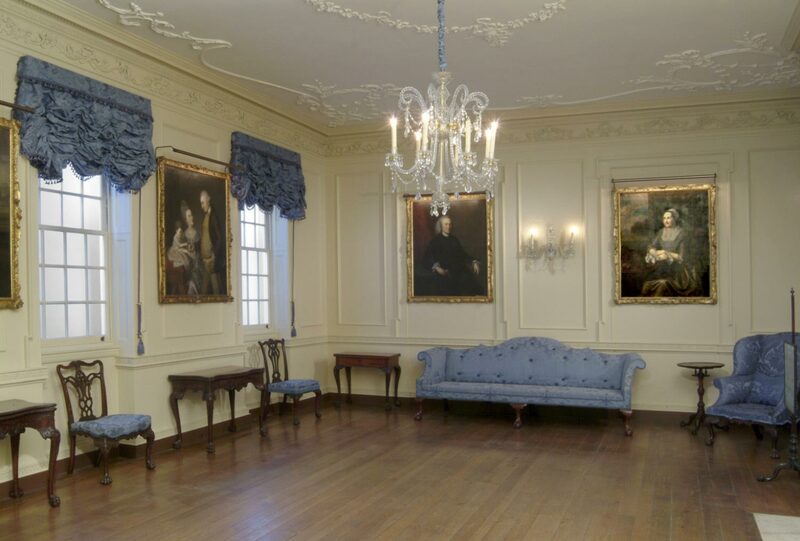 Much of the furniture and paintings in this gallery derive from the town house of another distinguished Philadelphia family, the Cadwaladers. 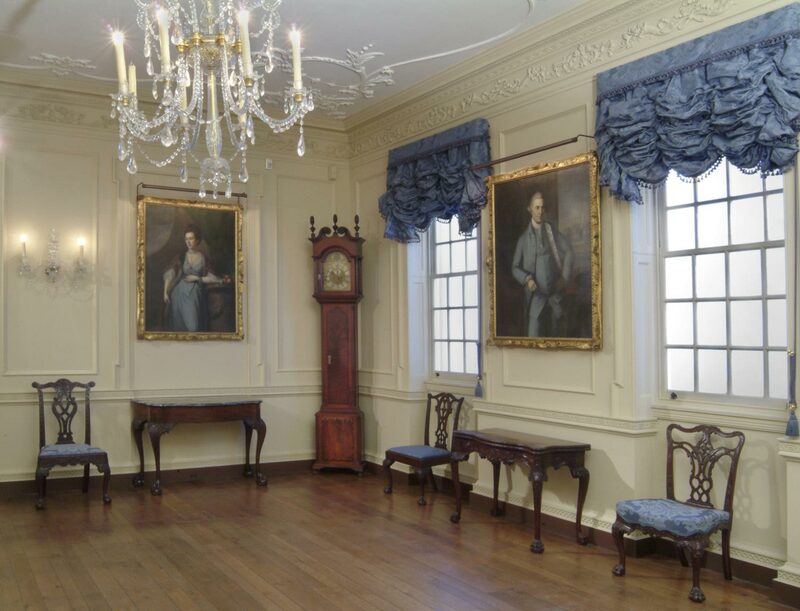 Like the Powels, John and Elizabeth Cadwalader were undertaking a major redecoration project for their Philadelphia house in 1770, commissioning the same artisans to execute the interior embellishments and craft the furniture. Unfortunately, the Cadwalader's Second Street house---known to have been the most elegant Rococo interior created in eighteenth-century America, and whose domestic appointments were unrivalled for quality and richness---was torn down in 1816. The sumptuous architecture and ornament of the Powel's front parlor is a fitting space to display the Museum's comprehensive collection of Cadwalader furnishings. The five paintings on view in this gallery were commissioned by John Cadwalader in 1770 from Maryland-born artist Charles Willson Peale. The ultimate symbol of wealth and status in pre-Revolutionary America, portraits also served as important documents of family order and continuity. 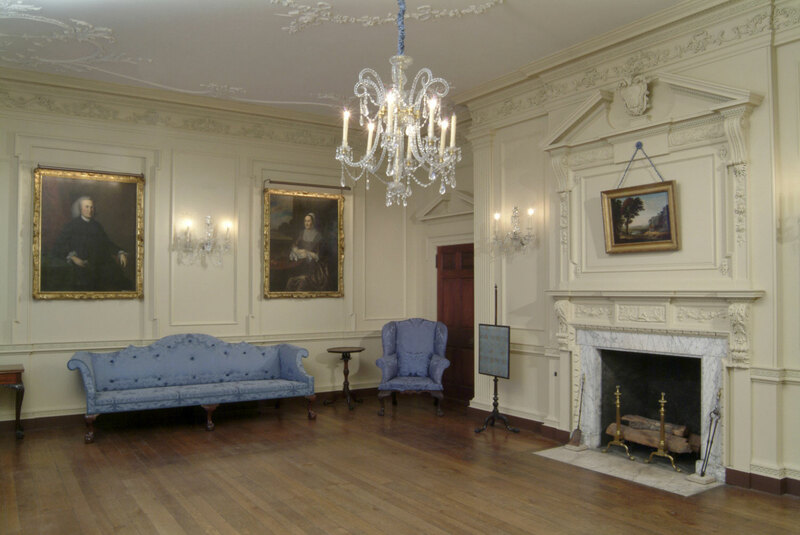 The elegant second-floor front parlor of the house of Philadelphia mayor Samuel Powel and his wife, Elizabeth Willing, was the venue for many special occasions, including George and Martha Washington’s twentieth wedding-anniversary celebration. Here the architectural woodwork that survives from the Powel’s parlor exemplifies British colonial artists’ interpretation of sixteenth-century Italian architect Andrea Palladio’s bold classical style, embellished with Rococo ornaments—including flower, leaf, and scroll motifs, and the trophies of music—and the carved scene from Aesop’s fables on the mantel. 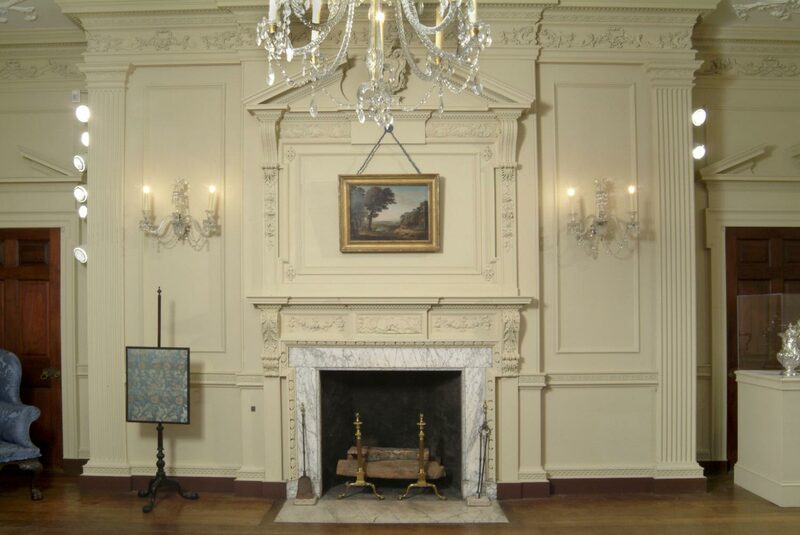 Much of the art and furniture installed in this room at the Museum were made for another distinguished Philadelphia couple, John and Elizabeth Lloyd Cadwalader, who commissioned their house’s interior furnishings from the same artisans who fashioned the Powel’s parlor. Although the Cadwaladers’ house was demolished in 1816, displayed here are examples of its lavish carved furniture and family portraits—ultimate symbols of wealth and prestige in colonial America—by Charles Willson Peale. Alexandra Kirtley, from Philadelphia Museum of Art: Handbook. Philadelphia: Philadelphia Museum of Art, 2014, p. 262.